The invisible way to straighten your teeth without braces. To discuss clear braces in the Atlanta GA area, please feel free to contact us to schedule an appointment. The aligners are made through a combination of Dr. Mixson‘s expertise and 3-D computer imaging technology. As you replace each aligner with the next in the series, your teeth will move – little by little, week by week – until they have straightened to the final position Dr. Mixson has prescribed. You’ll visit Dr. Mixson about once every 6 weeks to ensure that your treatment is progressing as planned. 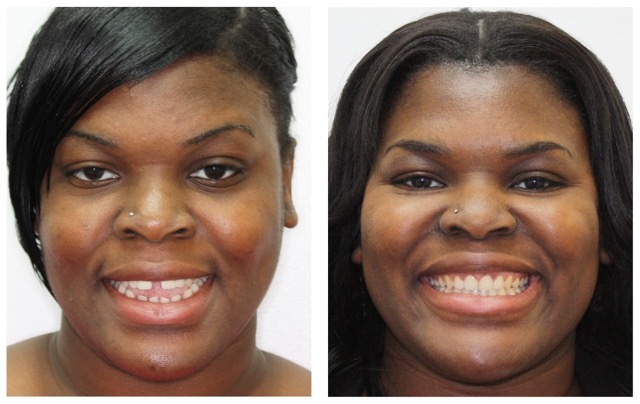 There are multiple options to transform your smile. No treatment offers the combination of comfort, effectiveness, and be virtually invisible like Invisalign. Invisalign is a cosmetic treatment that offers an invisible way to straighten your teeth and change your smile and confidence. With invisalign you are fitted with a mouth piece called aligners that have been made to fit your teeth. The aligners slowly move your teeth and shift their position. Each set of aligners are used for a period of two weeks, and the new set will cause your teeth to move a little more. As you use your aligners over the weeks and months, they will help straighten your teeth into their proper positions to give you a new, beautiful smile. What type of Treatments can Invisalign Correct? Crowded teeth can occur if the jaw simply has no room for all your teeth to fit properly. If this issue isn’t treated it can then worsen over time. The crowding can then lead to plaque, tooth decay and increased chance of gum disease. An overbite is when the upper teeth bit over the lower teeth. An overbite can cause some issues like gum problems or irritations, wearing of the lower teeth and could also cause problems with the jaw like pain and joint problems. An underbite can occur when the lower teeth are positioned past the front teeth. This is caused by undergrowth of the upper jaw and/or overgrowth of the lower jaw. Like an overbite, this can also cause jaw issues in the long run if it is not treated. Due to a misalignment of the jaw, a crossbite can occur. A crossbite is when either your upper or lower tooth bites on the inside or outside of the opposite tooth. The issues that this can cause is wear of the tooth or multiple teeth, as well as gum disease or bone loss. Gaps between teeth is a common issue with patients. Gaps can occur due to abnormal growth of the jaw. Another way gaps in the teeth can occur is due to the loss of a tooth which allows nearby teeth to shift. Gaps can lead to gum issues, periodontal pockets and the increased risk of periodontal disease. An open bite is when the upper or lower teeth are unable to make contact with each other to make a proper bite. This is in most cases due to an abnormal jaw structure or even continuous thumb sucking as a baby/ toddler. Some issues that an open bite can cause is poor and/or painful chewing and even a speech impairment. If untreated this condition can cause TMJ (temporomandibular joint disorder). From your first consultation to your brand-new smile and confidence, Dr. Shelly Mixson will make sure that you know what to expect every step of the way. In the beginning, you will first need to do your first consultation with your dentist Dr. Mixson. Choosing the Invisalign way is an important dental decision. During your dentist appointment, we will discuss your needs and evaluate whether Invisalign treatment is right for you. There are also the 6-month smiles, and braces treatment that may also suit your needs best. Once we have gone over the options and Invisalign treatment is the treatment plan of choice, we will then need to get 3D images of your teeth using a scanner called the iTero Digital Scanning System. We will then take these scans and map out a treatment plan, including the movements of your teeth’s and how long your treatment will take. With the scanner, you will be able to see hour your teeth will move and preview the transformation that will then be your new smile. Your custom aligners will be made to fit your teeth and are virtually invisible, so most people won’t even notice that you’re wearing them. For best results, your aligners should be worn for 20-22 hours of the day. 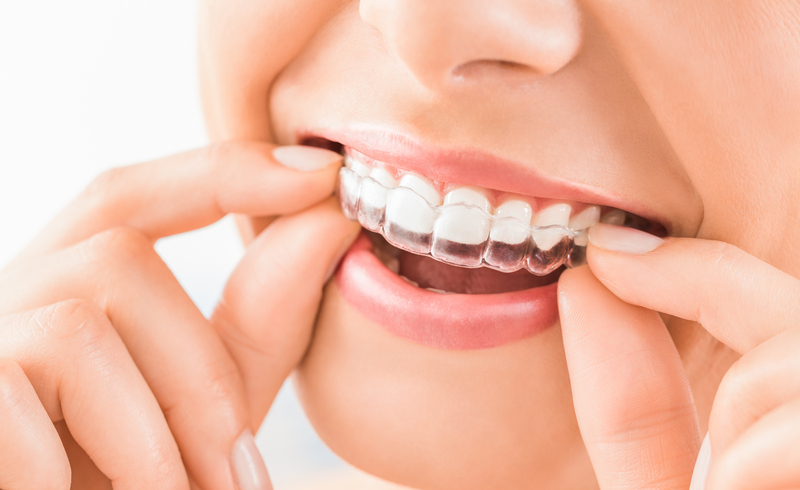 As you wear each set of your aligners your teeth with gently moving and shift into position. New aligners will need to be used every week or two and scheduled check-ups to be scheduled every six weeks. Once your treatment is complete it is the best practice that you wear a Vivera retainer with is also invisible. Invisalign has minimal impact on your day to day life, where they are hardly noticeable, and the aligners are comfortable. When it comes to oral hygiene the aligners are easily removable so you’re able to brush and floss your teeth like normal. To clean your aligner, you can also just use a brush and toothpaste then rinse it with lukewarm water. When it comes to meals, your aligners can easily be taken out while you eat. Where you’re able to remove them, you can still have any foods that you enjoy eating. 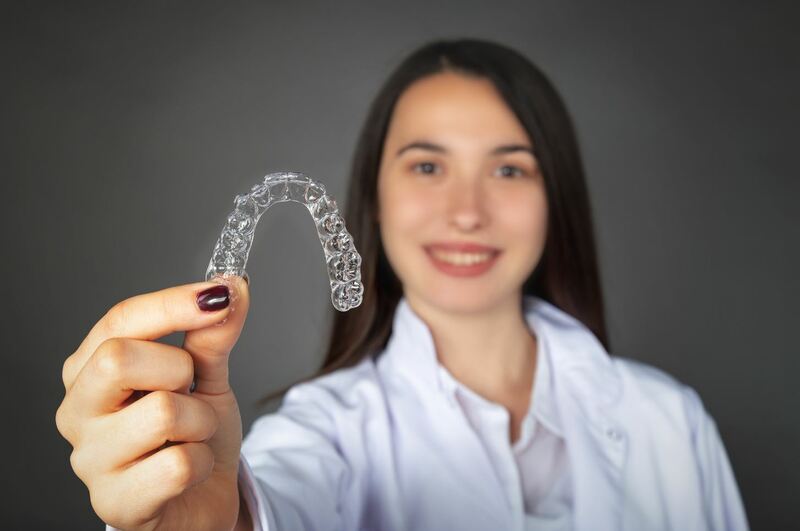 With over 5 million people who have trusted Invisalign, it is clear to see that the advantages and outcomes are greater than other clear aligners and braces. Visit the Invisalign website to view the advantages over other types of teeth straightening options. When it comes to your teeth, imperfections like gaps, overbites, underbites and more can cause gum disease and many more issues with your teeth. To have a healthier and overall beautiful looking smile, the best thing to do for your oral health is to consider cosmetic dentistry and correct any imperfections. This is where Invisalign comes in, it is the leading teeth straightening technique in the dentist industry! To get your smile assessment today call Gentle Smiles Dental today at (770) 455-6602 or contact us using our online form. Don’t take our word for it, that Invisalign is the treatment option for you! Check out the Invisalign treatment test to see if this treatment is right for you!